- 12 players return from Mario Kart Wii. - Underwater racing and gliding return from Mario Kart 7. - If you tricked on the glider ramp, you will get a speed boost after landing. - Re-spawns are slightly faster than MK7, and the screen doesn't go black anymore. - Bikes are able to get red mini-tubos now. - Wheelies are also back but it appears you can only wheelie when boosting. - You can view other peoples' items with the GamePad. - Coins return from Mario Kart 7, maximum is still 10. - Mini turbos charge a lot faster. - Kart customization is back for both bikes and karts. - Two sets of kart bodies and bike bodies were shown and three sets of tires: standard, pink-rimmed tires and Monsters. - Bullet Bill and Bomb-omb did not appear in the demo. 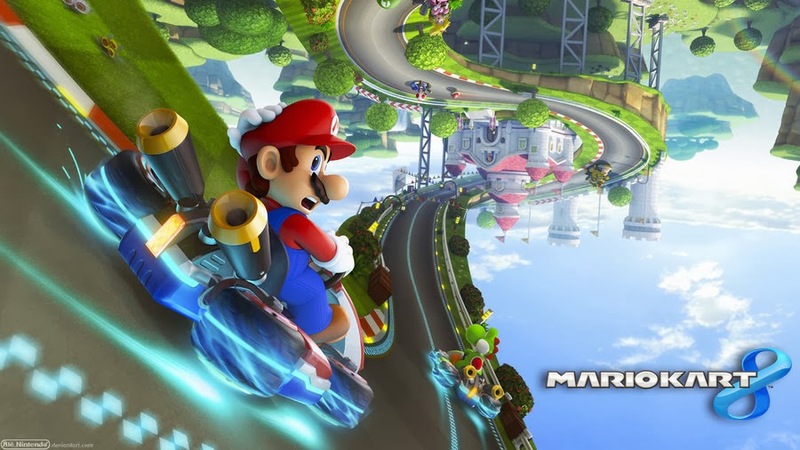 - Mario Kart 8 runs on 60 FPS.